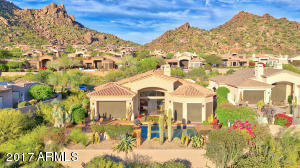 ESTATE STYLE HOME HAS ARIZONA LIVING AT ITS FINEST. 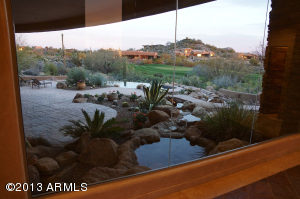 DRAMATIC NATURAL ROCK WATER FEATURE DRAWS YOU INTO A SPECTACULAR ENTRY LOOKING OUT TO A BROOK FLOWING TO THE INFINITY POOL AND 12TH HOLE OF THE WORLD FAMOUS MONUMENT GOLF COURSE. 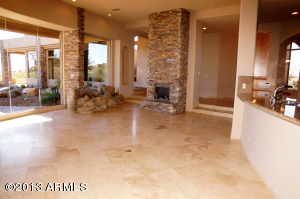 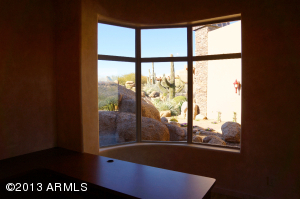 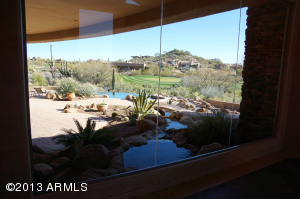 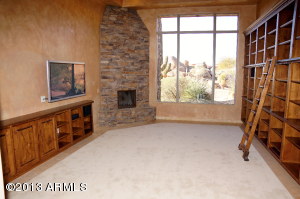 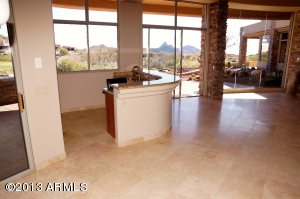 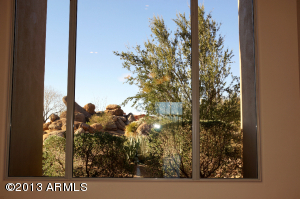 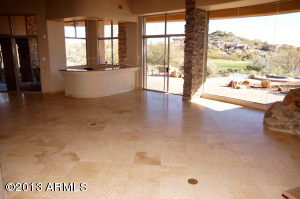 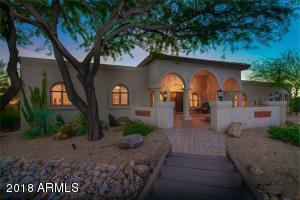 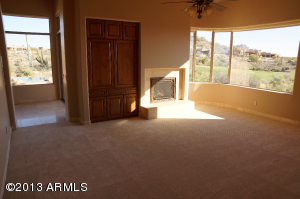 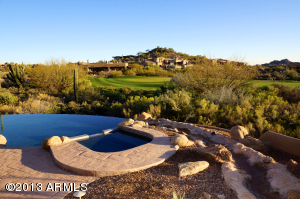 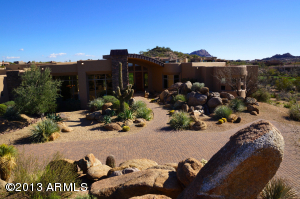 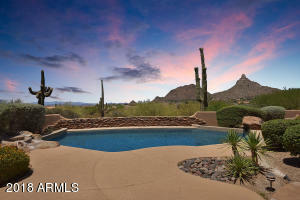 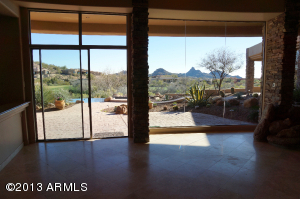 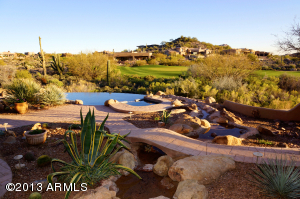 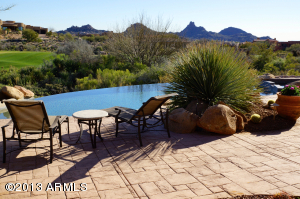 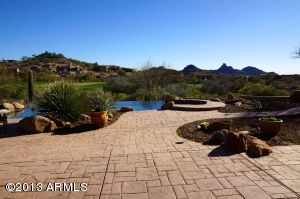 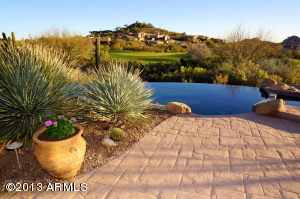 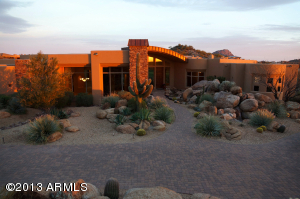 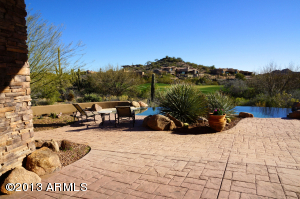 LARGE COVERED PATIO, PINNACLE PEAK VIEWS, SENSATIONAL SUNSETS & GREAT WET BAR PROVIDES A DRAMATIC ENTERTAINING ENVIRONMENT. 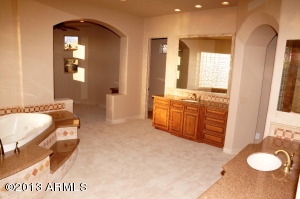 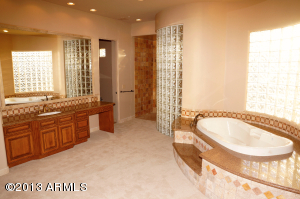 LARGE MASTER SUITE WITH EXERCISE AREA. 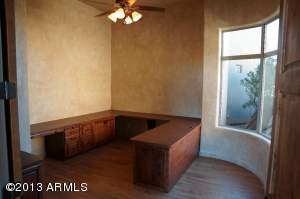 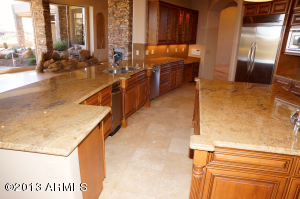 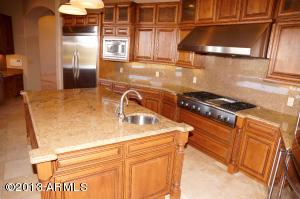 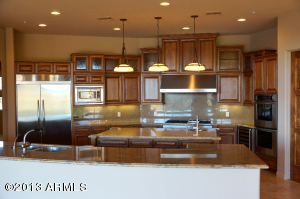 GOURMET KITCHEN W/ STAINLESS APPLIANCES IS DESIGNED TO MEET ALL THE COOKS NEEDS. 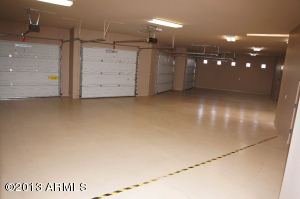 EXTRA LARGE OVER SIZE 4 CAR GARAGE WITH ADDED STORAGE. 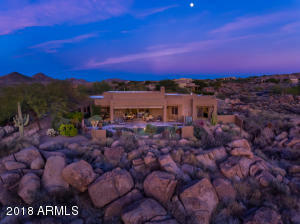 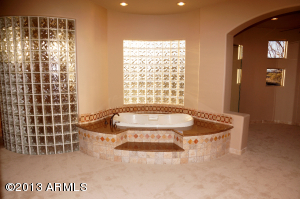 THIS IS A ONE OF A KIND PROPERTY! 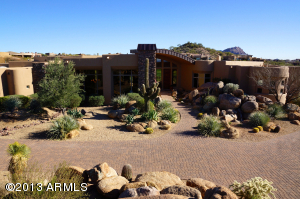 4TH BR CURRENTLY SETUP AS DEN. 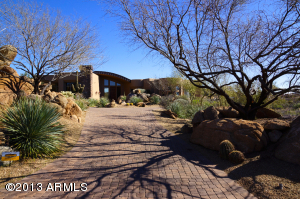 North on Alma School to the last gate on the left. 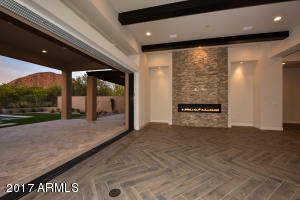 Thru gate take left on 106th Place to house in the Cul-de-sac.